The Jagua Gel temporary tattoo is one of the best natural options for temporary tattoos. The die is a deep blue, violet, dark blue depends on the PH of the skin. Our raw formula for temporary tattoos is fresh from the Jagua Fruit Genipa Americana juice material that is directly produced by the Shipibo tribe of Peru Amazonia. When you buy Jagua temporary tattoo products from Pure Organic Jagua, you help the Shipibo community to have better opportunities to develop in education, health, and job opportunities. 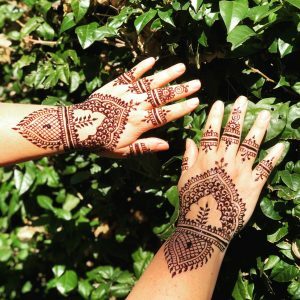 Pure Organic Jagua comes from a sustainable project with friendly care of the environment. 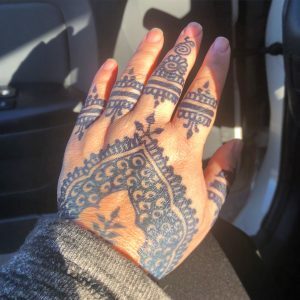 The Pure Organic Jagua Gel for temporary tattoos is made of only organic natural ingredients which include: Organic Genipa Americana Fruit Juice, Xanthan Gum, and Organic Lavender essential oil, sugar. WARNING: Other tattoo gels that are synthetically manufactured, have to be careful and cause harm because they have any form of alcohol, toxins or P.P.D. We have the exclusive organic formula on sale, already in the cone of 20 gr. each. One cone can last for approximately 6 months if is keep in the freezer.